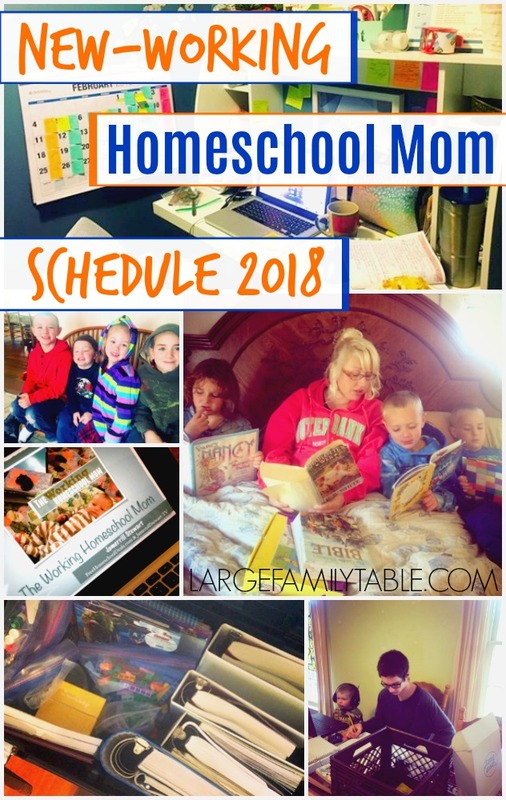 I just shared my updated homeschool mom work schedule for Winter 2018, I also mentioned I would share a post full of working homeschool mom schedules and routine ideas because I get asked about this topic so often. These working homeschool mom schedule ideas are for homeschool moms who work from home in particular. (I also worked full-time weekends as a nurse the first 3 years that we homeschooled. I’ll share about that in an upcoming post). Homeschool moms who already run an established business from home, work for an outside company from home, or are birthing a business in their fringe hours, in particular, may benefit from these thoughts. My schedule ideas for working homeschool moms are not the only ones out there, of course. Be sure to check the comments because I’m sure other working homeschool moms will share what works for them! No matter what, if you’re a homeschooling mom, you also try to work within the needs of your family and homeschool. With the flexibility of homeschooling, you can get creative and develop a family life and homeschool schedule structure that works with your working mom hours as well. Take into consideration that you can homeschool in time blocks throughout the day, take a gentle year-round pace (we’ve done year-round homeschooling for many years), and even have unconventional homeschool hours in the evenings or weekends if need be. There are many ways to make this work. And, as always, check your state homeschool regulations and requirements to work within those parameters. 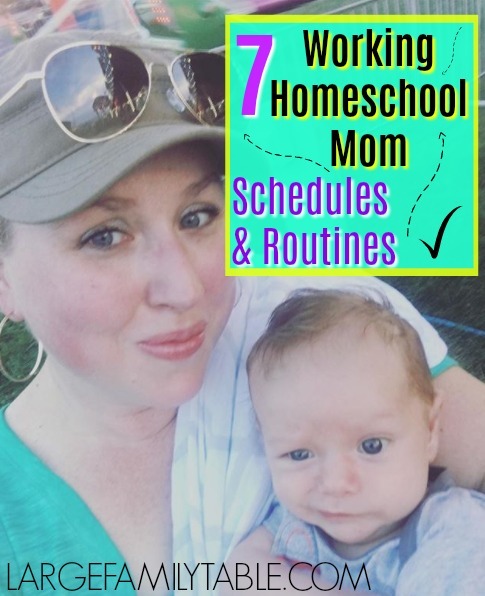 Over these last seven years, I’ve done the following working homeschool mom schedules at different points. Some of these schedule ideas may be a springboard for you if you are brainstorming work schedule ideas. As always test and try to find what works for you! Schedule Ideas: I had a long season where I worked several hours every morning. An example of this would be 3 AM to 7 AM, 4 AM to 8 AM, or 5 AM to 9 AM, or any set up along those lines. I know 3 AM or 4 AM sounds wild. I had a time during one pregnancy in particular where I was exhausted by 7 PM and woke up nearly every morning around 3 AM. Instead of being frustrated, I just started getting up and getting my work done. More on purpose, I’ve worked the 4 or 5 AM to 8 AM. If I did this daily it would be 24-28 hours a week. This can work well if your children sleep later or you have some additional help in the mornings. Aspects to consider: Being able to go to bed at a decent time the night before helps make this early morning mom schedule possible. This may mean children stay up later with daddy to help facilitate later morning wake times. Also, putting some time into developing a good morning routine is important so if the children get up and momma is still working, they can get dressed, get their breakfast, and be ready for the day when momma is done. 9 to 10 AM – Fill-in-the-blank hour. Need a family cleaning hour? Need to get outside and start the day with playtime? (We do that too!) Use this hour to fill in and catch up with other family needs. 10 AM to 4 PM – Now, of course, required homeschool needs and hours vary. Giving yourself a big 6-hour block for homeschooling gives you lots of time for book work, projects, read-alouds, and more, depending on your family’s homeschool style. 4 PM into the evening – these are the hours you have family dinner, game time, more outside time, and downtime. Besides dinner, not all of these happen every night, of course. You will have to consider evening activities with the kids. When I worked early mornings, we couldn’t easily do late evening activities. This is all part of assessing the needs and goals of your family. Remember, by getting in your work hours early, you also may have all of Saturday and Sunday “free” (of course as moms we use that word loosely 🙂 ) for other activities, needs, or nothing at all. Schedule Ideas: I’ve also worked many seasons from about 7 PM to 11 PM. I shared about those work-time seasons here in my original working homeschool mom post series from 2015. You could also work 6 PM to 10 PM or 8 PM to 12 AM. With this schedule flow, you can get in 24-28 hours a week. Similar to the homeschool routines ideas listed above, your day is going to get a later start, especially if you’re working to 11 PM or 12 AM. Your body won’t instantly go to sleep the moment you take off your working mom hat. You most likely will need some downtime before you actually get to sleep. Something to consider is this may put your entire household in a slower paced, later morning routine. You also need to have your “family day” complete with what’s required of momma at some point after dinner time to make this potentially work. For the most part though, even if you work to 11 pm or midnight, your family homeschool day hours can be focused from 8 am to 6 or 7 pm to fill in based on the needs and goals of your family. Schedule Ideas: I’ve also worked in an afternoon time block for about two to three hours. An example of this would be from 1 PM to 3 PM, 2 PM to 4 PM, or from 12 PM to 2 PM. 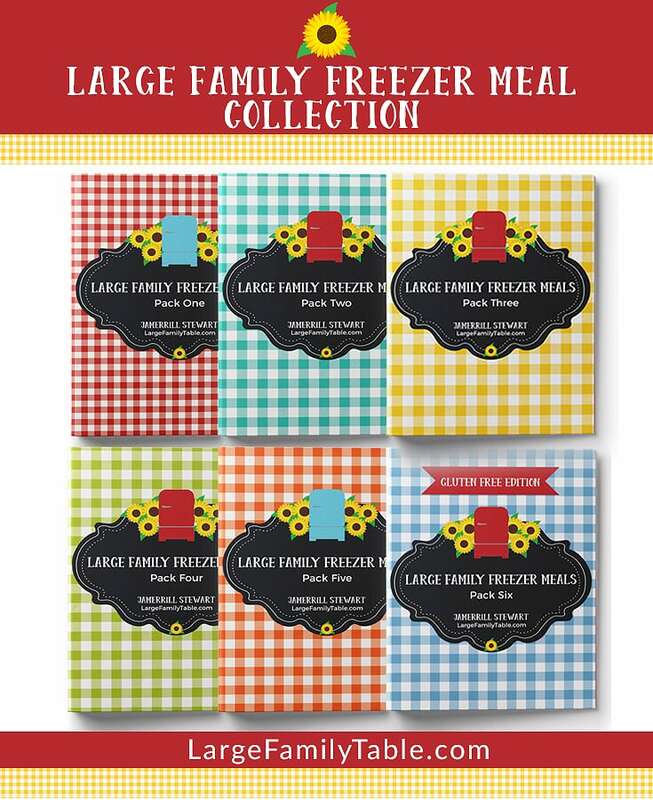 This is dependent on nap-time routines of little ones and other current family dynamics. I’ve had little ones who nap hard from 1 pm to 3 or 4 pm. I could then bust through my work to-do list during that time. Aspects to consider: During this time older children can do independent school work such as bigger creative projects, reading assignments, etc. My older boys would also build Lego creations and watch science videos during this time while Naomi played at my feet and the little boys napped. Working nap time hours is helpful because it doesn’t restrict the rest of your family’s day. Your family can follow whatever bedtime/wake and homeschool schedule you find best, besides the systems you put in place to be able to work those few hours during naptime. You need to consider being able to transition to a working time and then transition from working time back to full-on mom time. Those transitions can be hard to do and take some dedication and testing. Schedule Ideas: Long Afternoon Momma can work well for moms with older children and generally no little ones unless there’s another adult who can help care for little ones after nap time. This is a longer work block time than that of Nap Time Momma and may look like 2 PM to 6 PM, 1 PM to 5 PM, 3 PM to 7 PM, or 4 PM to 8 PM. Aspects to consider: What’s required for Long Afternoon Mom to get in her work time is that most of the heavy homeschool work would need to be completed. Of course, older learners can take assignments and still continue working during this time if needed. Long Afternoon Mom would need to consider having dinner in the slow cooker, homeschool done, and the house in order (and/or a solid task list for older kids to complete.) A benefit of the Long Afternoon Mom schedule is work time can end at a decent hour to still have some family evening and relaxing time. Schedule Ideas: Years back, when I had seasons where my business was requiring closer to full-time hours, I did dedicated work days. In more recent times, I’ve done dedicated workdays as well. On dedicated work days, I push hard and work 10 to 12+ hours. This comes from my years working as a nurse with the long nursing shifts. An example of dedicated work days I’ve worked has been 10 am to 10 pm on Tuesday, Thursday, and Saturdays. This is an idea for a momma who has a business that requires full-time hours on a weekly basis. Aspects to consider: In order to have a dedicated work day (or days), you will need to have a spouse home to help and take over during that time, other family members who can watch your children, or a babysitter or mother’s helper. Example from my work history: At one point, during a small season, I had a mother’s helper come over on Thursdays to be with our younger children and gently oversee the older boys. During that time, our then middle school boys could complete their school assignments for that one day that I gave them, complete chores, and have free time as well. Then I also worked on Saturdays when my husband could be with all the children. This allowed me to get in about 20 to 24 hours of work in two days and enjoy five focused full-on mom days a week. Schedule Ideas: This would be working in various time blocks throughout the day. You work an hour in the morning, maybe from 6 am to 7 am, then possibly two hours during nap time from 1 pm to 3 pm, and maybe another hour or two in the evening from say 7 pm to 9 pm. That’s actually 5 hours a day which for 6 days would be 30 hours! Aspects to consider: The thing to consider with working in time blocks is it can be very hard to get your head in your business, handling what you need to handle, and then back to mom life multiple times a day. For that reason, this schedule has never worked well for me. I feel so torn when I try to switch back and forth all day between work and family. This schedule can be helpful during busy work seasons and for businesses that need hands-on attention throughout the day. If you have no problem switching back and forth between tasks multiple times per day, this type of schedule may be ideal for you. Schedule Ideas: I’ve certainly been a mix-and-match mom during various times as well. Sometimes I’ve worked 7 pm to 11 pm Monday through Friday and Saturday 10 am to 10 pm. You can also work as Early Morning Mom from 4 am to 8 am and then on Saturdays from 4 am to 4 pm. You can pick and choose from creative work ideas and mix and match a schedule that will work for your unique business. In closing, I hope this look at possible working homeschool mom schedules is helpful for you. We live in a time where, especially with the internet being what it is, homeschool moms can work from home while schooling their children. It naturally isn’t for everyone. We all have to follow our particular paths. If you find yourself a crafter, blogger, YouTuber, writer, artist, marketer, hobbyist, or fill-in-the-blank-here with various possible at home professions, you may have found some helpful ideas in this post. Please share your working homeschool mom schedule in the comments below! I’d love to hear what works for you and how your family has made this work! Here’s more in Work-at-Home Mom Adventures. I would say right now I am a “Time Block Mom” but it’s not working well. That’s why I am reading your post! 🙂 I am up early and work from 4-6, then jump back on in the afternoon from 1-3 (during nap-time), then often spend some more time in the late afternoons/early evening after my husband gets home. I often have a hard time switching from mom to work and even sometimes back the other way. It feels like I waste lots of time transitioning back and forth. This week I have taken some days off and it does seem like I am able to focus better both with work and mom duties. Lots to think about here. Thanks Jamerrill!! When do or did you wedge in household chores? It seems like any time I take for work is at the expense of the household or kids. I have four toddlers. With 4 toddlers I might consider hiring someone to come in here and there to help catch up the house. Of course now with 8 children and being married just about 20 years, we have systems and routines in our home for our whole family. Our routine is we do chores in the evening so we go to be with a tidy house every evening (plus dishwasher running/load of laundry going). In the morning the kids get themselves ready, tidy their rooms, and do light morning jobs to get our day going – meanwhile, I’m getting breakfast and other aspects of the day going. SO TO ENCOURAGE YOU, when I was in a very busy work season, using a combination of the schedules listed above and pregnant with baby #6 – even though back then several of the kiddos still had basic daily chores – I still hired a local lady to come in once a week and do a deep “mom cleaning” for me. I also had her do deep organizing projects that I just couldn’t get to during that time. In my current schedule shared here https://largefamilytable.com/homeschool-mom-work-schedule/ you’ll see that I don’t work daily any longer. I have several (about 5 to 8) long dedicated work days a month. This allows me to have what I consider a normal flow all the other days, for the most part. Thanks you so much for your encouraging blog post!! I find early hours work best for me. I am pregnant with baby #9 and am also up at 3 a.m.!! So instead if laying there fretting why am I am awake I get up. I feel like I have accomplished the world by 6!!! This works pretty good most days as long as I can get to bed by 9. 😉 or sneak in a nap with the 1 year old!! !